There could be no Greek of Instanbul (Constantinople) for up to 100 years ago that would not remember with sweet nostalgia the feasts of Tatavla. Singing companies of people on horse drawn wagons would climb up to the neighborhood of feasts to listen, in the various taverns, to the renowned orchestras performing amanes, Istanbul songs and dances: the so-called ‘divine chants’ of the Byzantines, a living and long standing tradition of songs listened to with the accompaniment of wine. 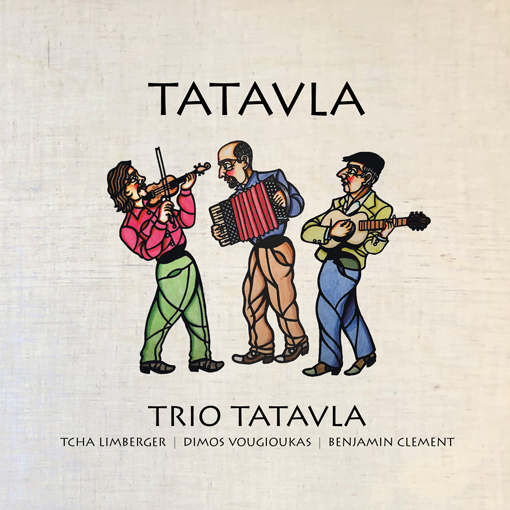 In this festive atmosphere, 100 years later Trio Tatavla transport us back with the distinctive sounds of the harmonica performed here on the accordion by Dimos Vougioukas, the violin and voice of Tcha Limberger, and the guitar or basso guitar to be exact of Benjamin Clement. This work consists of 12 songs of the period prior to the rise of rembetiko, when songs were dominated by tenors such as Antonis Dalkas, Giorgos Kavouras and Kostas Roukounas, and soloists such as Antonis Amiralis (Papatzis) on the harmonica (a type of diatonic accordion), Dimitris Semsis (Salonikios) on the violin and Spiros Peristeris on the guitar, and musical ensemble forms such as estoudiantina and politakia. 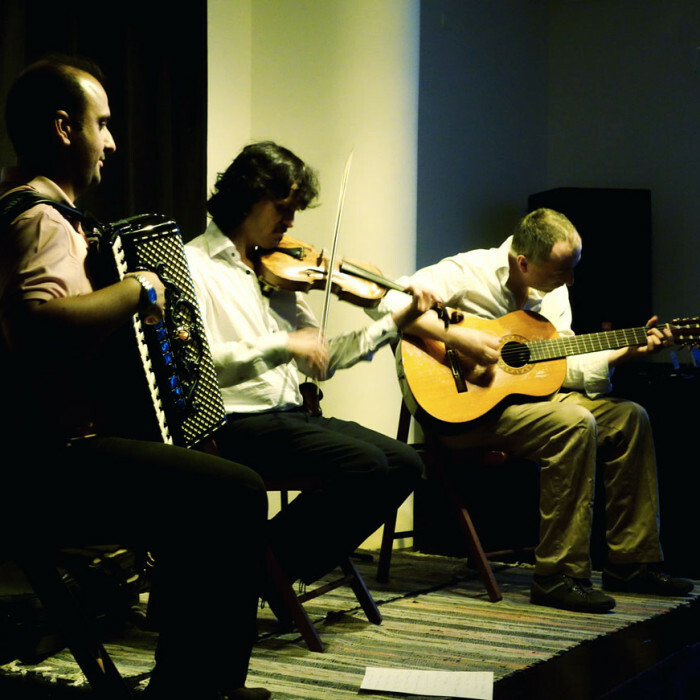 Trio Tatavla express with astonishing cohesion and expressive variety all types of the Constantinopole school of music; rembetiko, chasapiko, karsilamas, syrto, zeimpekiko, amanes. 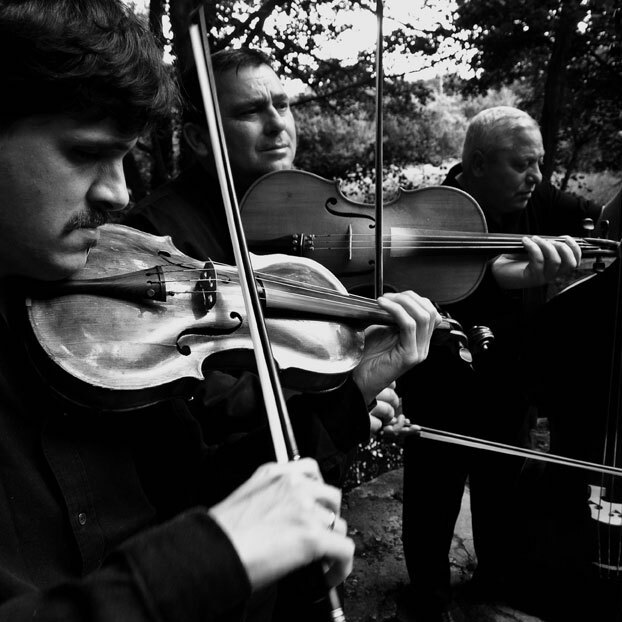 They advance further the connection between the instruments, conversing very clearly and giving the impression that more instruments are being played. Tcha Limberger enters this game of sound and colour in the role of a singer, (of amanes) a performer and town crier worthy of great musical fame, a music machine that transcends all spectra of expression. 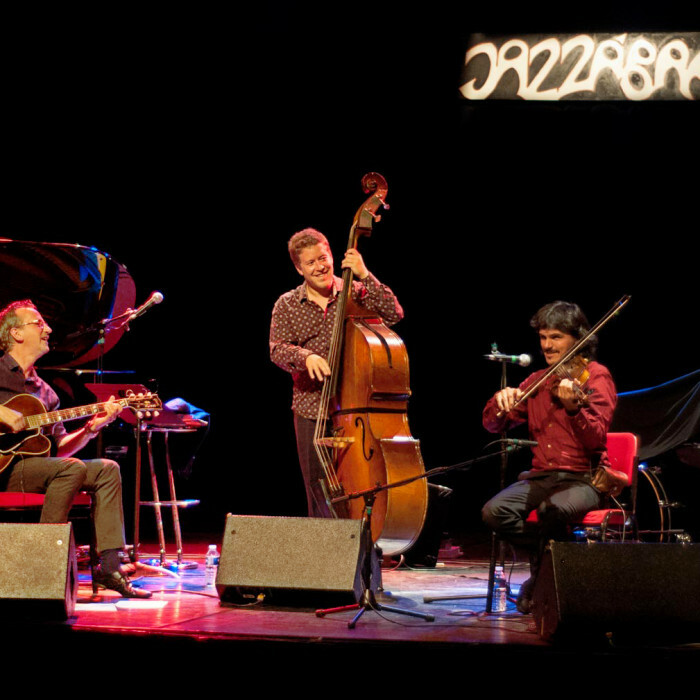 In a very interesting role Dimos Vougioukas converses with the other musicians, creating the performance foundation on which is woven the expressive canvas and musical polychrome. 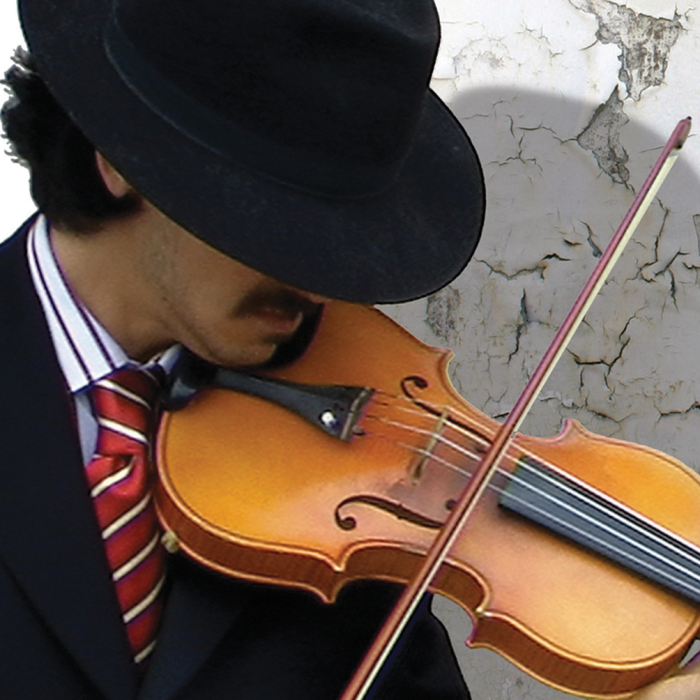 As a result we witness a open sound with a great deal of harmonic notes. 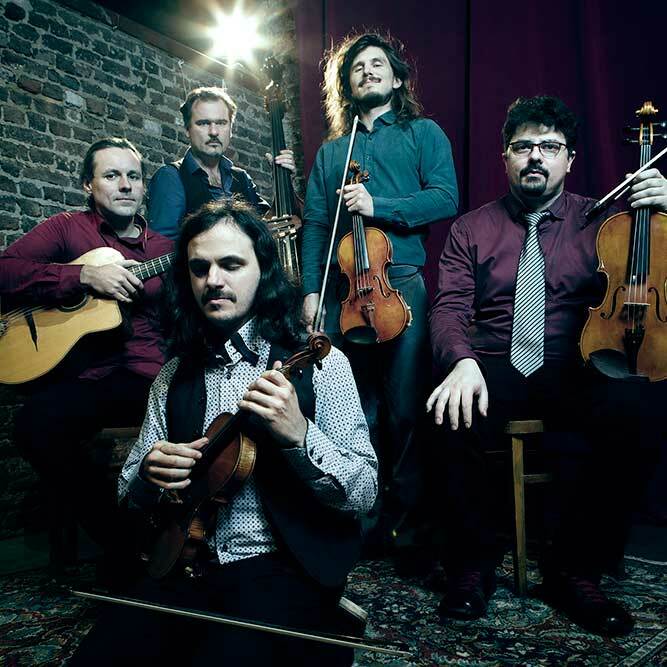 In that endless game, smiling Benjamin Clement accompanies and successfully underlines with baritone melodies of the guitar as well as very large and varied rhythmical forms. It is a happy result … worth experiencing with all your senses aroused.